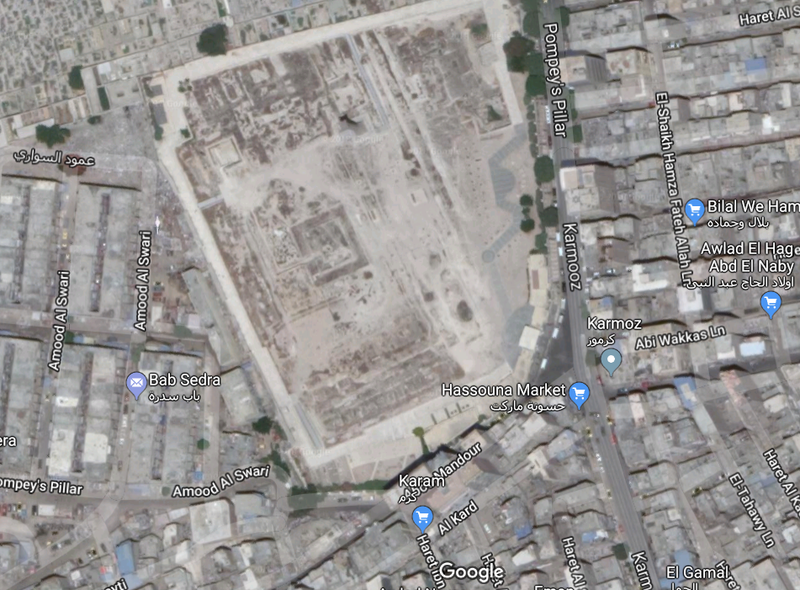 View the Serapeum from above on Google Maps! The temple of Serapis stood on a raised area in ancient Alexandria. It consisted of an enclosure with a colonnade all round, and the temple stood in the centre. Remarkably this arrangement can still be seen today in satellite photographs on Google Maps! The area to the north of the enclosure is a muslim cemetary, but then the great rectangle appears. And in the centre of it, clear as a bell, is the square foundations of the great temple building itself. It may have been destroyed by Theophilus of Alexandria in 391, but there it is today. 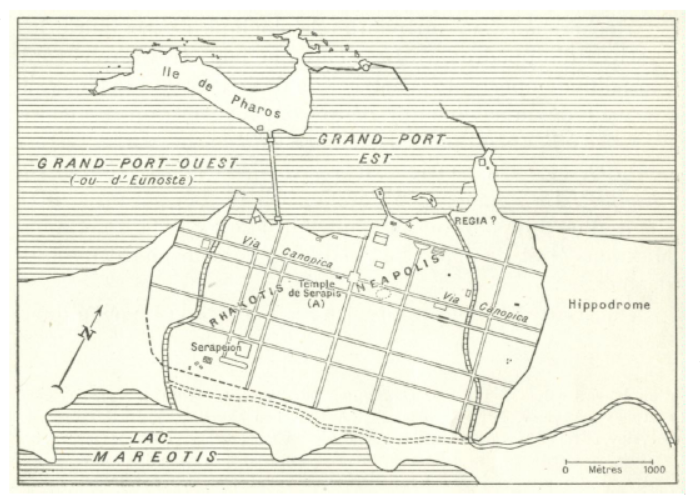 Let me give a map of ancient Alexandria for comparison, taken from A. Mariq’s article on the Lageion. Sadly nothing now seems to be visible of the hippodrome, that ran along the south side of the Serapeum enclosure. It was still visible when Napoleon’s engineers arrived in the 1790s. « New edition and commentary of the Chronography of 354!